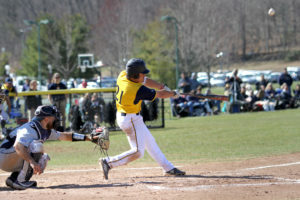 In doubleheader action on Saturday, April 6, the Quinnipiac baseball team (11-17 overall, 6-3 MAAC) dropped two games to Canisius (13-16 overall, 7-1 MAAC), losing the first by a score of 9-2 and the second 3-1. 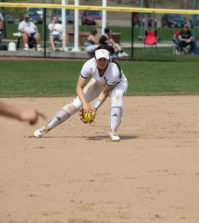 The first game was all Canisius, as five different players on the roster recorded an RBI. Senior pitcher Andrew Sipowicz went 6.2 innings and allowing just two earned runs. Quinnipiac couldn’t get anything going, recording four hits as a team and trailing for the entirety of the game. The pitching staff had a tough outing, allowing a combined nine runs, walking eight batters and hitting four. 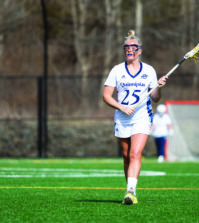 In the second game, Canisius picked up right where it left off from game one. After putting a few runners on base in the top of the first inning, the Golden Eagles found themselves with two outs and a runner in scoring position. A ground ball straight up the middle that snuck just passed the outstretched glove of Quinnipiac senior shortstop Kevin Huscher drove in the first run of the game, putting Canisius up 1-0 early. Still, Quinnipiac wasn’t in panic mode yet. It took two more innings before Quinnipiac would crawl back and put its first run on the board. With a runner on second, graduate student catcher Anthony Cruz crushed a ball to deep right-center field that ended as an RBI double, evening up the score 1-1 at the end of the third inning. After letting Quinnipiac back into the game, Canisius came out swinging in the fourth inning, but failed to capitalize thanks to some impeccable fielding. With a runner in scoring position and two outs, graduate student pitcher Chris Enns allowed a line drive to right-center field that looked like it would score a run. Quinnipiac senior right fielder Liam Scafariello had a different idea in mind, tracking the ball from the moment it left the bat. Sprinting on a line to where it would have dropped, he dove to catch the ball inches before it hit the ground, saving a run and keeping the game tied 1-1 heading into the bottom of the fourth. In the top of the fifth inning, Canisius junior right fielder Andy Leader managed to get on base by way of an error. After Leader was forced back to first on a pick-off attempt, he stole both second and third base. On top of this, Quinnipiac allowed junior centerfielder Jake Burlingame to advance to second base, putting two runners in scoring position. Junior outfielder Jacob Victor followed Burlingame’s at bat with a walk, loading the bases. 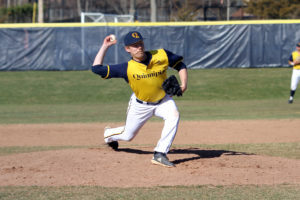 With redshirt sophomore Blake DeCarr on the mound, Quinnipiac had an opportunity to prevent any runs from being scored. Decarr forced redshirt junior catcher William Krull to ground the ball right back to him. What should have been a routine play turned into a disaster, as DeCarr threw home high, preventing Cruz from being able to catch the ball cleanly. Leader slipped passed Cruz to score and put Canisius back on top, 2-1. 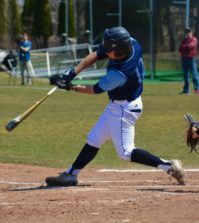 A ground ball to first followed, but because of prior mistakes, all that sophomore first baseman Ian Ostberg could do was step on first to record an out. Despite the out, the play allowed another Canisius runner to cross home plate and score the final run of the inning, which ended 3-1 in favor of Canisius. Those would be the deciding runs of the game as Quinnipiac eventually lost the seven-inning outing 3-1, dropping its record to 0-2 on the day. Delaney was upset with his team’s performance in both games, citing a failure to execute routine plays as cause behind the two losses. After failing to win a game on Saturday, the Bobcats will look to get back into the win column on Sunday, April 7 when they’ll play Canisius for the third time this weekend at the QU Baseball Field at 12 p.m.